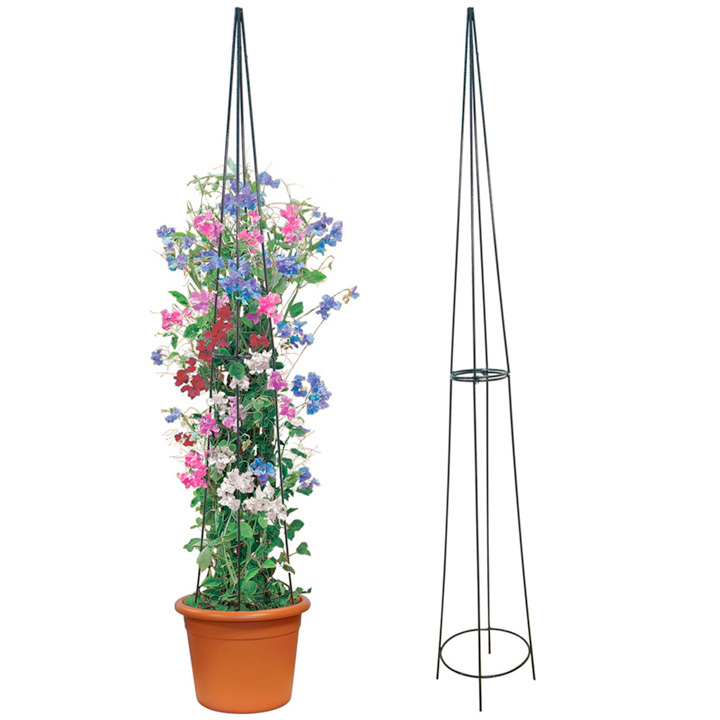 The perfect support upon which to grow your stunning sweet peas! Made from sturdy plastic coated 6mm steel rods, it will give you years of pleasure. Ideal for border or containers. 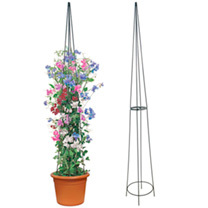 Supplied in two halves for simple home assembly and easy dismantling for winter storage, with nuts and bolts included. 29.5cm at the bottom hoop and 32.5cm at the very base of the spikes into the ground. Overall height 200cm.